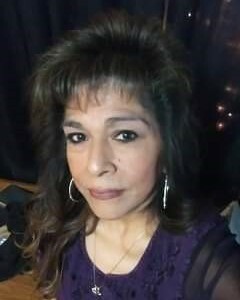 Carla "Lala" Maldonado passed away, with her daughters by her side on April 4, 2019 in Nampa, Idaho at the age of 55. Carla was a loving daughter, mother, grandmother, partner, sister, and friend. Carla was born January 26, 1964 in Phoenix, Arizona. Her and her siblings, Andrea, Steven, Joseph, and Eula were raised by their father, Andres Ugalde, in Caldwell, Idaho. Carla was a loving mother and grandmother to Crystal and Danny and their children, Maryjane, Meadow, Sandra, and Chata; Selina and Travis and their children, Amaya, Camila, and her first grandson on the way; and Maria and Eddie and their daughter, Nia; she was also a loving partner to her significant other, Beto. Carla was always up for an adventure and enjoyed Lowrider car shows, cruising around and maintaining her rides, dancing to Tejano music, listening to oldies and rap with her kids, going to the movies, thrift store shopping, and yard selling for her collections of sugar skulls and c'hilis. She loved planning events and spending time with her family and friends. She was a wonderful cook and was best known for her tortillas, salsa, and potato salad. Carla was a wonderful CNA for 30 years, her most recent and favorite workplace was at Lifecare center of Treasure Valley. She took great pride in loving and caring for her residents. She always went the extra mile for them. Among other things Carla was strong willed, funny, honest, and took pride in being a hard worker. She had a sincere love for her family and friends. Carla is preceded in death by her father, Andres "Andy" Ugalde, and her brother, Joseph "Jojo" Ugalde. She is survived, loved, and will be missed greatly by, her daughters, grandchildren, sisters, nieces, and nephews. A memorial service will be held at 10:00 AM Friday, April 19, 2019 at Alsip and Persons Funeral Chapel.